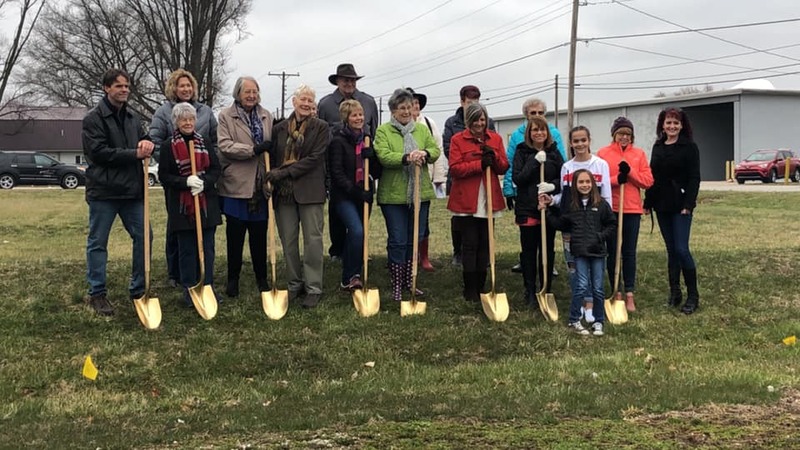 Special Thanks: Yesterday the dream became a reality with the new library groundbreaking…I appreciate the love and support from family, friends and those who have worked hard to make this happen, thank you! Thank you to the speakers: Indiana Bond Bank Executive Director Mark Wuellner, Indiana State Director USDA Rural Development, Michael Dora, St. Vincent DePaul Board Member, Dan Gregory, Bowling Manufacturing President, Mike Carney, Library Board President Patricia Hale, Friends of Loogootee Library President Judy Yarnell, and Mayor Noel Harty. An extra special thank you to Pastor Jim Lilly. Thank you Rural Development Southern District Director Craig McGowan for walking us thru the process of the USDA loan requirements and attainment, SIDC Program Coordinator Rex Knight, German American Bank Regional Executive Vice President Kenny Frye, St. Vincent DePaul Board, Southwest Indiana US Senator Todd Young’s Office Brenda God, Regional Director, Lett & Jones Attorney, Dave Lett, Universal Design Tom Schipp, Brett Schipp, and Kamie Hubbs, Seufert Construction Jessica Lindauer, Marketing Director and Brandon Betz, Project Manager, Martin County Community Foundation, Friends of Loogootee Library, Loogootee Public Library Board of Trustees, Mike Meinhart, Generation Computers, Loogootee Public Library Staff: Terri Trotter, Nicole Fahey, Randall Pete Bruner, and Karlena Wagler!Also Madyson Simmons, Elaine Wade, and Rosi Truex. Thank you, thank you, thank you!